New LP and EP on iTunes, Amazon NOW! The Rock at Live Wood LP and Cosmic Irony EP are here! 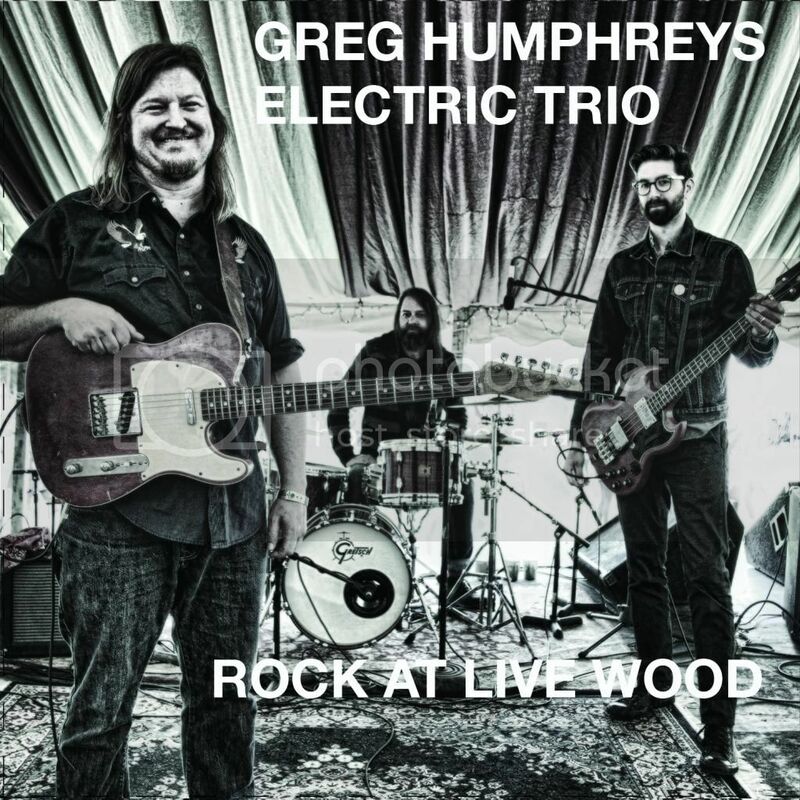 Rock at Live Wood, the debut live recording of Greg Humphreys Electric Trio (bassist Matt Brandau, drummer Keith Robinson, myself), is available on iTunes and Amazon NOW. 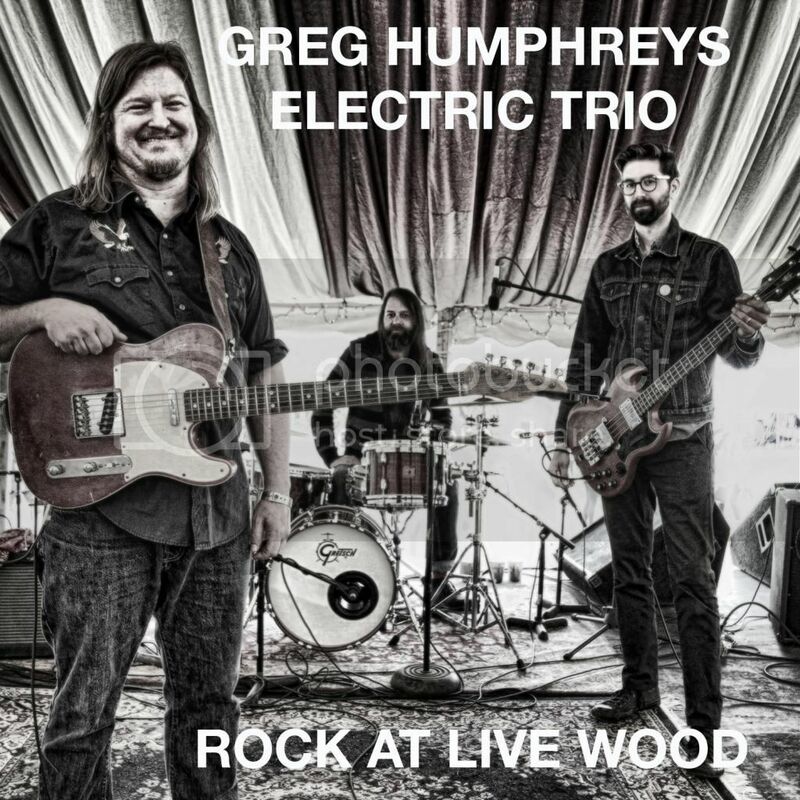 The Rock at Live Wood LP, from a recent Electric Trio set at Rockwood Music Hall, is alternately thoughtful and blistering. 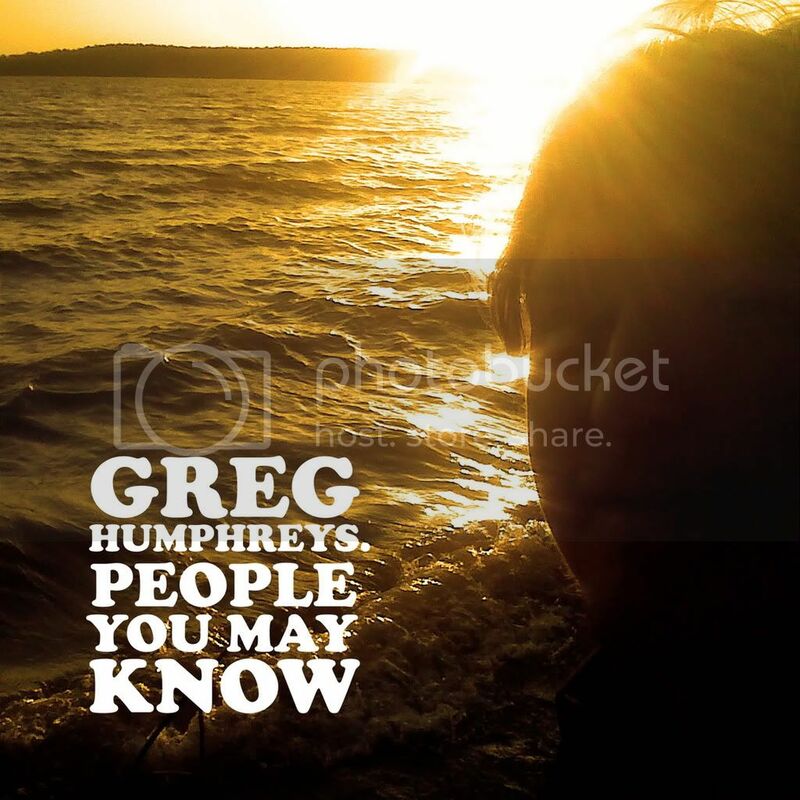 Mixed by Keith Robinson, it features live arrangements of songs from the Cosmic Irony EP along with some trio versions of tunes from my solo acoustic LPs and HOBEX recordings. The official Cosmic Irony EP release date is November 1, but you can preview and pre-order the Cosmic Irony EP on iTunes and on Amazon NOW! 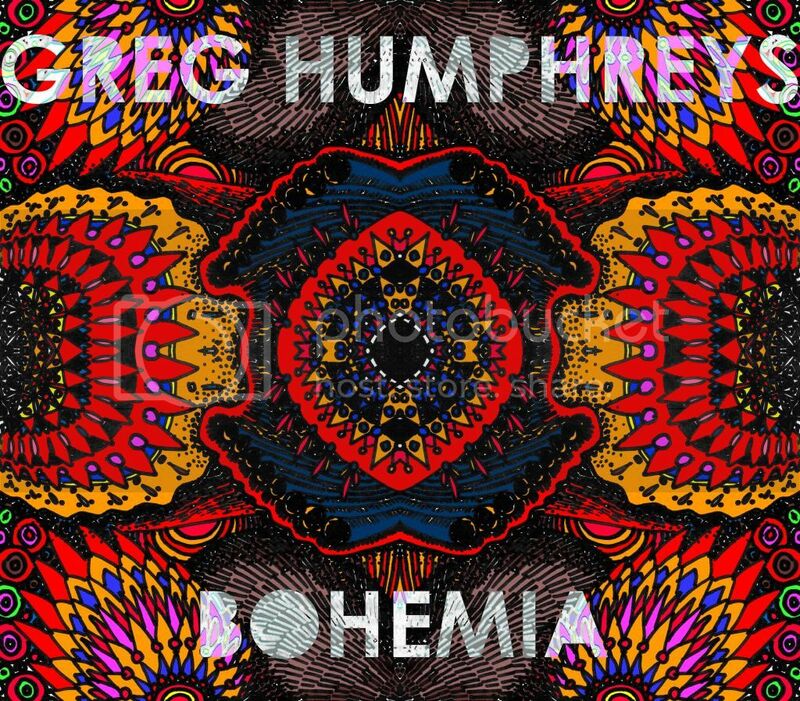 The first tune, "Crosstown", is a song we built around a Brandau bassline, with horns from saxophonist Art Edmaiston (Greg Allman, JJ Grey and MOFRO) and trumpeter Dennis Marion (JJ Grey and MOFRO). On "Cosmic Irony" we take a Latin trip down Existential Lane. "All Because of You" is pure pop and "More Than a Friend" is a downtown love song. Enjoy. Had a couple of great sets in Austin TX this past weekend. Thank you to the South Austin Moonlighters for having me open at the Cactus Cafe! We had a rocking electric session on Saturday at Strange Brew Loungeside with the Moonlighters' guitarist Phil Hurley and bassist Lonnie Trevino, along with the fantastic drummer Ramy Antoun, whose long resume includes a stretch playing and recording with Seal. Next up is an acoustic show in Portland OR at LaurelThirst Public House on October 12 with my old friend Matt Brown. You may have noticed that I didn't do a crowdfunding campaign for these releases or for our fall tour. It's not that I'm not facing the same challenges as other artists in the current environment – I am. I'm simply asking you now: in lieu of pledging money to a campaign, please BUY THE ALBUMS and BUY TICKETS! Come see a show. Dates and ticket links are below. Don't forget that you are the reason we are able to continue performing and making music. I appreciate your continued support and I hope to see you this fall. Thanks to our NYC folks for coming out to our Rockwood 2 and 68 Jay St. Trio shows at the end of May! If you missed 'em, The Electric Trio will return to Superfine in DUMBO on Sunday, June 15 from 7 to 9 pm. More Summer shows to be announced soon. I'm headed to ATL in June for a recording session with legendary Stax Soul man William Bell at his Wilbe studios for his upcoming album! You might remember my mention of our songwriting session together a year or so ago... well, William has already recorded one of our tunes, "I Will Remember Tonight," with his band. He and I will be recording another of our compositions, "In a Moment of Weakness." What a thrill to work with one of the artchitects of Soul Music and one of my favorite songwriters! Can't wait for you guys to hear these tracks... I got to hear the version of our tune that he cut with his band and I was floored. He is one of the all-time great Soul vocalists. William is featured in a new documentary on Memphis music called Take Me To The River, which also features Terrence Howard, Mavis Staples, Snoop Dog, Otis Clay, Bobby "Blue" Bland, North Mississippi All-Stars, and Booker T. Jones. Catch it if it comes to your town. THANK YOU so very much for coming out to our Electric Trio tour in April! Matt Brandau and Keith Robinson killed it on the bass and drums. We really enjoyed ourselves and it was wonderful to see you all. Every show was noticeably different... we were certainly road-tight by the time we closed out the run with a couple of sets at Shakori Hills Grassroots Festival. We ended up with a couple of nice live recordings from the tour, and we hope to share some highlights with you soon. The photo at right is by our friend, photographer Mike Benson, taken at Shakori before our set in the Cabaret Tent. Here's a live video of of "Someday I'll Have my Due" and a very positive live review of that Cabaret Tent set from Dan Schram for IndyWeek. Tell your friends about the Electric Trio and let's do it again soon! We're back in the city at the end of May! Playing a 7:30 pm set at Rockwood Music Hall Stage 2 on Tuesday, May 27. We're on the bill with our friends in Cult Classic to celebrate the release of their new EP. They'll hit right after us at 8:30 pm... hope you'll join us. If you can't make it, we'll be in Brooklyn the following night, Wednesday, May 28 for a 7:30 pm set at 68 Jay Street Bar. The Electric Trio will return to Superfine in DUMBO on Sunday, June 15 for a 7 - 9 pm set. 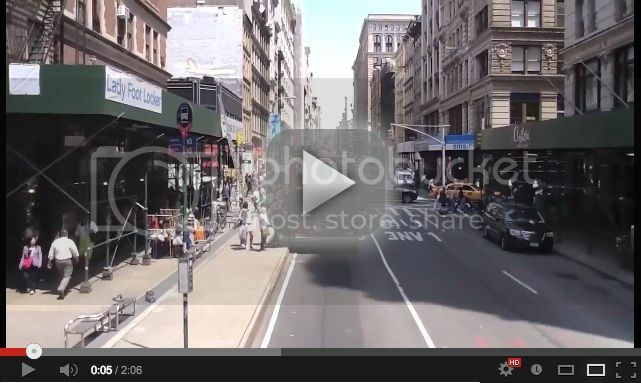 SNEAK PREVIEW: CHECK OUT THE NEW VIDEO FOR "MORE THAN A FRIEND" HERE. I follow my muse. She calls and I go. That's it. Sometimes it takes me a while to move, but eventually I head in that direction; met a beautiful lady not too long ago and moved to NYC. We now have a baby boy. Since I've been living in the city, I've been collaborating with an old friend from North Carolina, bassist/producer Matt Brandau. He and his wife Sarah moved here about three years ago. Matt and I played together back in Carrboro in a mostly instrumental side-project of his called Tiny Pyramids, mainly populated by his band members from The Old Ceremony. It took me a couple of months to finish the lyrics because I wanted to make sure the song evoked a feeling of newly living in New York City and being in love. I've written quite a few songs in that vein this past year. Matt and I have recorded a few more of these new songs, including "More Than a Friend" featured in the video above. The recordings are sounding decidedly like a combo, so we've decided to take these tunes out for a spin. We recruited Matt's friend Keith Robinson, a seasoned drummer and New Yorker-via-Austin TX who spent years on the road backing up piano queen Marcia Ball and Texas circuit king Charlie Robison. We've been doing some gigs around the city and we're taking it on the road in April. Details, venue and ticket links are here. The New York gigs have been tons of fun – we have one more set at Rockwood 1 at 3 pm on Sunday, April 6. It feels good to be playing electric guitar again. 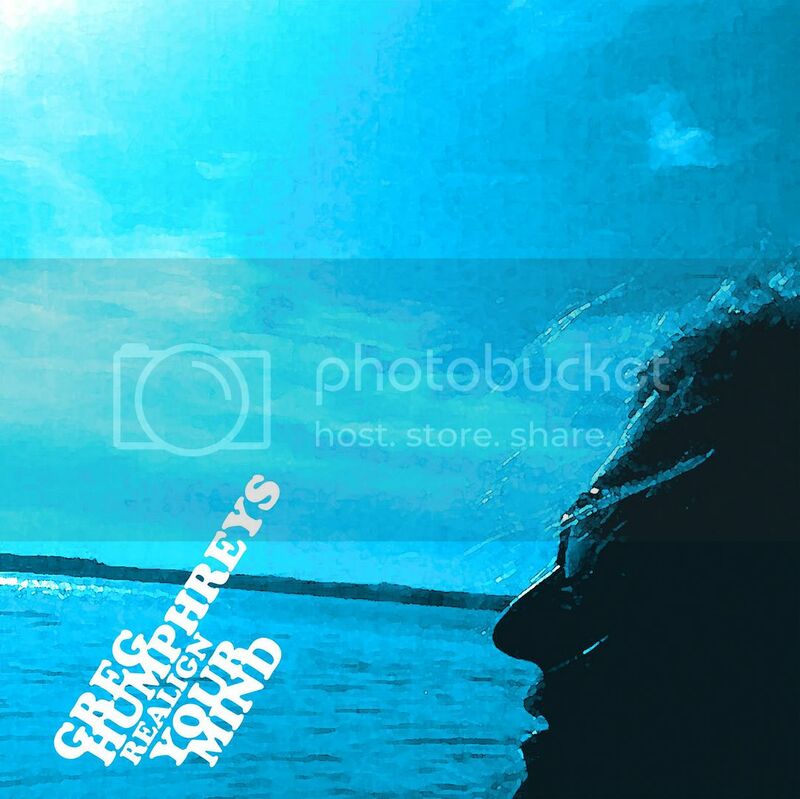 Live, I'm using all the tools in the shed with this combo – Rock 'n' Roll, Funk 'n' Soul, Pop, Folk, Jazz, Americana, Blues. Whatever feels right. We'll be throwing in a few cuts from the catalog too, so hit me with any requests you might have. Please come to a show and please tell your friends... a return visit is much more likely that way. Hope to see you in April. Doing east coast tourdates this spring with a new electric trio. Joining me will be Matt Brandau on bass guitar, and Keith Robinson on drums. We'll be doing songs from that new LP Mr. Brandau and I have been working on, along with tunes from my recent solo recordings and faves from the bands' catalogs. Mark one down – we'd love to see you. Had a rousing inaugural set at Pete's Candy Store in Brooklyn this past Saturday. Thank you to everyone who came out. IT'S A BOY! Also, music stuff. Meet Jim – James David Humphreys, born in Brooklyn at 11:50 pm on January 22, 2014. Mommy and baby are doing great. We're elated and grateful. And sleep-deprived! Jim arrived three weeks past his due date, following several days of hard labor for Rubina. What an extremely challenging, yet wonderfully exciting time this has been for our new little family. Jim is named for our dads, both named James. His middle name is David in honor of our friend David Doernberg. Rubina and I met at Dave's memorial service almost two years ago; it's a fitting tribute to one of our favorite people. Thank you all for your encouragement and kind words along the way... the adventure begins! We just took Jim out to a restaurant for his first outing, and the Beatles' Revolver was playing. He also shares Sam Cooke's birthday. I take those as good omens. Laying pretty low the next couple of months to be with the family, but I'm excited about playing a few local gigs. First up, doing a short duo set at Bowery Electric on Saturday, February 15 with my friend Margaret White for the NYC version of the Love Hangover. It'll be a night of great artists singing duets of heartache and heartbreak – expect some fabulous originals and covers. You can buy advance tickets here. Still chipping away at a new LP with Bassist / Producer Matt Brandau at his Upper West Side studio... really digging what we've done so far, and considering a crowdfunding effort to help make sure this new project cuts through all the (rather well-promoted) clutter out there. 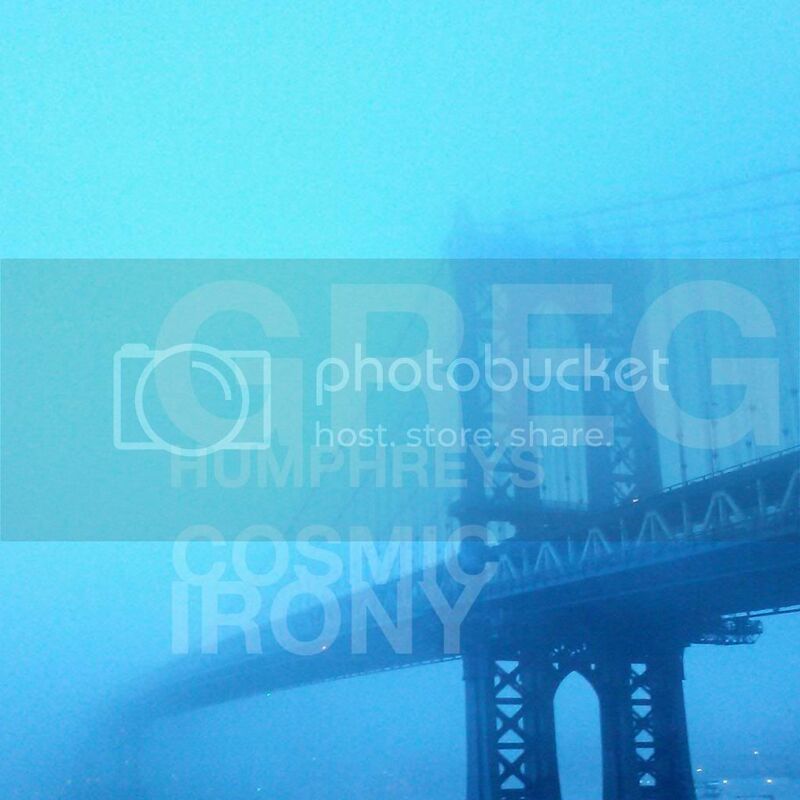 – Sunday, March 9 @ Superfine, DUMBO, Brooklyn, 7 to 9 pm, two sets. Bringing this trio down to NC in April. We'll be playing a couple of sets at the spring Shakori Hills Grassroots Festival between April 17 and 20. Working on some routing gigs on our way to the festival as well. Look forward to playing some new music for you... hopefully I'll be bringing our new little nuclear unit! See you soon. 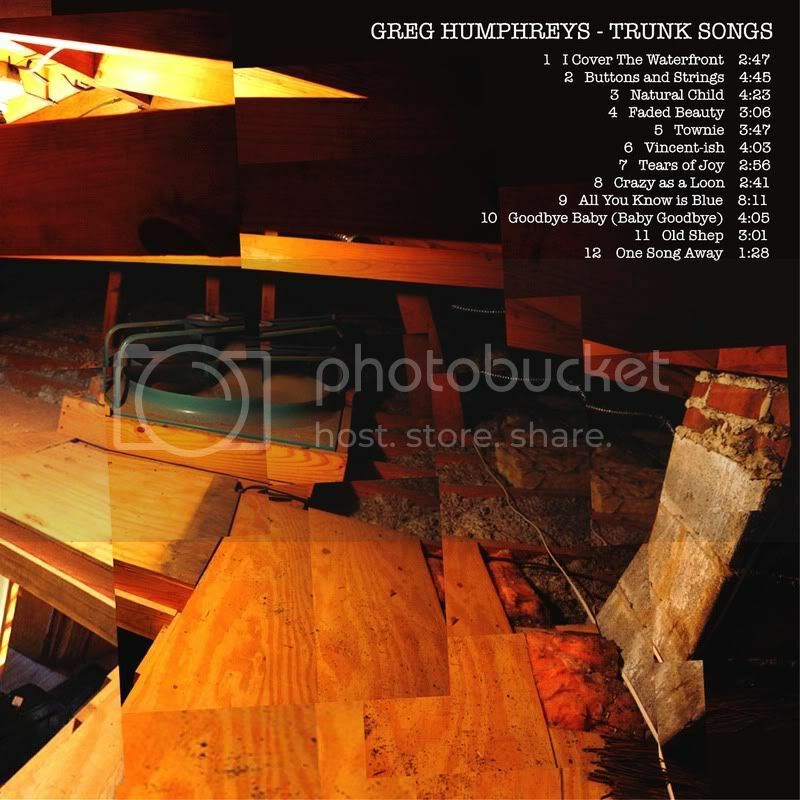 Purchase these CDs via paypal here.